Bargain Storage is thrilled to serve three communities in Fort Worth, Texas. 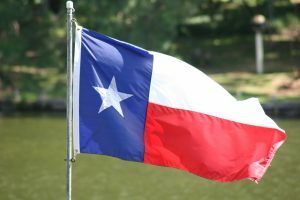 With over 500,000 new residents moving to Texas each year—and with the majority of those moving to the Dallas-Fort Worth area—some estimate that the area is gaining more than 200 residents per day. It’s easy to see why so many people are flocking to the Fort Worth area. The culture of the area reflects that of small towns and neighborhoods, with historical and professional districts. The food is some of the best in the Southwest, and the downtown areas and cultural districts are a huge added benefit. The cost of living is still more than 10% below the national average and the oil industry in the state guarantees lower cost of living all around. 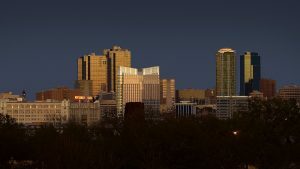 The Fort Worth area is also home to national and international corporations, including GE, Lockheed Martin, and AT&T, and it ranks among the top five in the U.S. for Fortune 500 company headquarters. This ensures that jobs are abundant and that the unemployment rate is well below the national average. For all of these reasons and more, vast numbers of transplants from around the country and the world are finding themselves in need of Fort Worth storage facilities for their transitions. Bargain Storage is proud to support those in and those moving to the Fort Worth area. We always take the time to connect with our customers, treat their belongings as our own, and keep the facilities clean, and well-maintained. You will find our team members to be friendly and professional at all times. Fort Worth Bargain Storage – West: Located at 7812 Camp Bowie W Blvd, near the I-820 and North Z Boaz Park in west Fort Worth. Our location on the west side of Fort Worth serves residents near the Ridglea Hills, Chapin, Alameda, and Montserrat areas. We offer sizes starting at 5’ X 10’ going up to 10’ X 25’. New customers can receive one month free by reserving now. This place is the best buy in Fort Worth. Upgrades galore and under new management. If you need an affordable storage in a safe area located off a major freeway and close to everything this is your place!!!! — Paulita B.
Fort Worth Bargain Storage – Eastchase: Located at 8900 Creek Run Rd, near the Waterchase Golf Club and I-30 in east Fort Worth. Our newly renovated Eastchase location serves the residents near the Village Creek and Waterchase Golf Club areas. At this location, you can find storage solutions for any need from very small at 5’ X 5’ to large at 10’ X 30’. Take advantage of reserving your unit at this new facility in advance and get 2 to 3 months free. We have been holding our opinion on the new owners and management for a couple of months to see how the transition has been. The remodel is absolutely beautiful and the new property manager Kevin is super friendly and extremely professional. For months he has gone out of his way to make sure every visit is enjoyable. I’ve also watched him interact with others and his disposition is so kind and caring. FANTASTIC JOB BARGAIN STORAGE!! FIVE STARS!! — Jon L.
Fort Worth Bargain Storage – East: Located at 6465 E Rosedale St., in the Handley area near Lake Arlington and I-820. Our recently renovated location on the East Side of Fort Worth serves residents near the I-820 / Lake Arlington area. This location offers boat and RV parking spaces and storage unit sizes from 6’ X 8’ all the way up to outdoor spaces large enough for 3 RVs at 40’ X 40’. Reserve your space today. My first experience with Bargain Storage was pleasant, informative, and it was what a rental experience should be. The manager, Jenna, is a prime example of what a first class rental agent should be. She was pleasant and very professional. The facility itself was very clean and well maintained… I have used several storage facilities all over the metroplex, and this is the best in Fort Worth bar none … Wish I had found this place sooner. I’ll give Bargain Storage 2 thumbs up…. — Russell H.
Bargain Storage’s Fort Worth storage facilities provide a better storage experience through 5-star service, quality spaces and low, straightforward pricing. Call or visit today to discover how we can serve you at one of our Fort Worth storage facilities. We look forward to meeting you!